يضمن فندق Mansions on Pulteney الذي رمم في لزائريه قضاء وقت ممتع في أديليد، سواء جاؤوا في رحلة عمل أو سياحة. يقع مركز المدينة على بعد 0.1 km فقط. ويمكن الوصول إلى المطار خلال 20 دقيقة. سوف يعشق النزلاء موقع هذا الفندق، فهو قريب من أهم المعالم السياحية في المدينة كمثل ‪Rundle Lantern‬, Small World, Globe Medical Adelaide . إن الخدمات التي يقدمها Mansions on Pulteney تضمن للنزلاء إقامة مريحة. يمكن الاستمتاع بمجموعة من الخدمات على أعلى المستويات في الفندق كمثل واي فاي مجاني في جميع الغرف, خدمة غسيل ذاتية, واي فاي في المناطق العامة, صف السيارات, غرفة عائلية. تتضمن كل غرف النزلاء وسائل الراحة والتسلية المصممة خصيصاً لضمان الراحة القصوى للضيوف. يمكنك الاستمتاع بالأجواء المريحة التي تقدمها مسار جولف - ضمن 3 كم طوال النهار. استمتع بخدمات لا يعلى عليها وعنوان ذو اعتبار في Mansions on Pulteney . تتم عملية التنظيف كل 7 أيام. My sister and I stayed here for 3 nights. The room was well prepared, clean and tidy. Great facilities where everything is ready especially the cooking utensils. Staff were friendly, kind and helpful! ♥️ This hotel is very close to the city, shops, cafes, restaurants, and the tram. Worth the money. 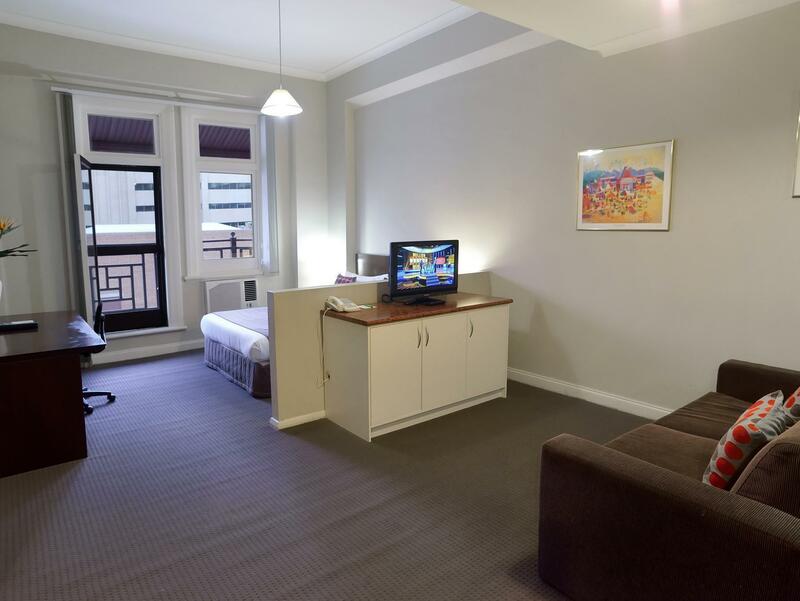 Great location and just few minutes away walking distance to Rundle Mall and Metro.i definitely will stay there again. Convenient location. Roomy with kitchenette. Beds were comfortable. Showers were good except small hot water service so you can't take a long shower. Street access a little difficult but Carpark across the road was convenient. Good selection of cafes on Rundle street. Only complaint was Adelaide City Council street sweeper at 5:30am on Sunday morning for about 30 minutes. We love the Mansions, have stayed there on many occasions over the last 40 odd years. Over 100 years old and full of old world charm, looking a bit tired now, could do with a face lift. 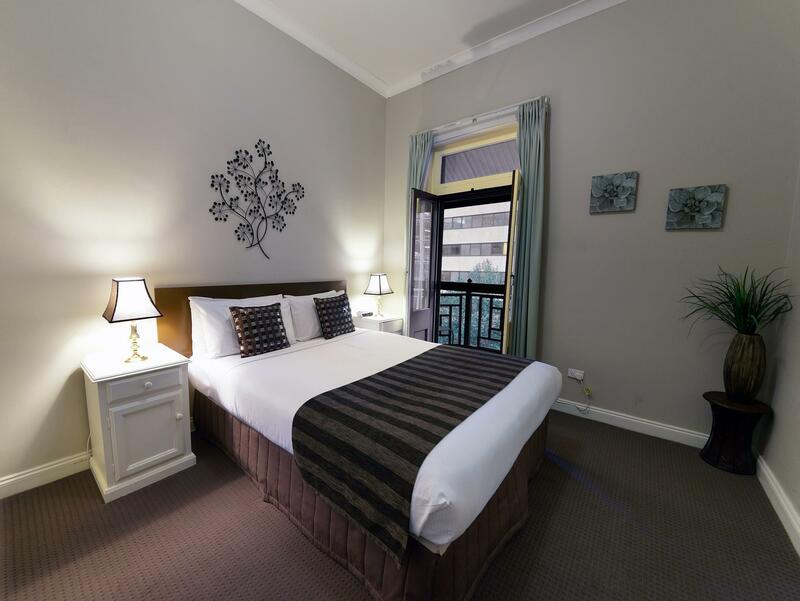 However position is fantastic just at the end of Rundle Mall and close to North Terrace with the Library, Museum, Art Gallery, Botanic Gardens and Zoo all within a few minutes walk. We were told renovations are due to start shortly (Sept 2018). We will be visiting the old lady next time in Adelaide. One bedroom executive, large living area with plenty of seating, bedroom also very large with high ceilings and big windows. Bathroom was also very big, with bath. Water pressure was difficult in the shower, had to turn the taps several revolutions to get consistent pressure. Kitchenette has everything you need to prepare a feast except food. Roof top laundry/bbq area was a welcome find, nice to be up there, at the rear of the building. Staff were excellent, helpful, friendly. Location is close to the east end of Rundall Mall. Mall has a lot of clothing shops, the other direction has a lot clothing and food. There are a lot of food courts in the buildings that line the mall. If you like coffee, there's a Di Bella coffee place around the corner from the apartments in Austin Place. Down the other end of the mall in Hindley street there is Cafe Bang Bang, also served good coffee. This hotel is old, but always cleaned and comfortable for us. And, all staffs are kind. Location is very good because it is near the bus stop to Airport and close to Randle mall, which is the biggest shopping place in Adelaide. A great central location for business traveller. Lovely old building. Had all I needed, little overpriced for the condition it is in. They are putting up a huge building next door and the work goes on all day even Saturday. Very noisy and they can see in your windows. 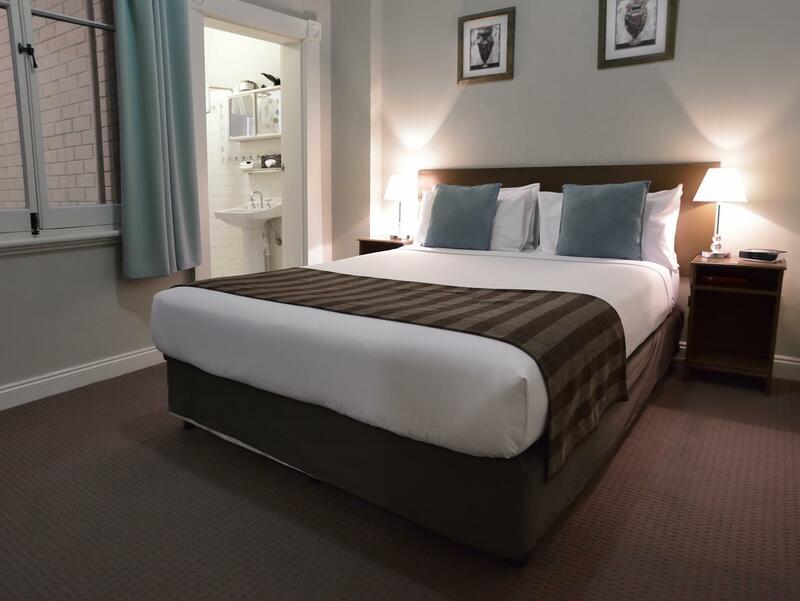 Great location as it just next to Rundle Streets but the accommodation was very old and needed a major refurbished. Great location, and large comfortable unit. Unit fully equipped with everything you need to be self-sufficient, and wi-fi is good. Perfect for family or couple in very central location to shops and restaurants. If you not worried about ultra modern look it has all you need in the apartment. A nice apartment style in an excellent location. I found the deposit charging a little punitive however managed to arrive at a satisfactory arrangement. People may say it is a little 'tired' but frankly, it is clean, serviced and low cost. I can accept 'tired'. Room size, Central location, Price. Very different to previous stays. Room service is spasmodic and my room was only done once during a 4 night stay. I was told it was my fault for having the do not disturb sign on the door in the morning.......well do the staff want to catch me naked in the shower.....I don't think so. Security gate in front has not been fixed in six months. Air conditioners are getting old and noisy, general lack of maintenance. Considering that I have stayed before and booked months in advance, I would have thought I would have had a better room than the one out the back over the food mall. The room stank of stale fat and curry and even the staff member apologised when I arrived. Might be time to find another hotel in the area. 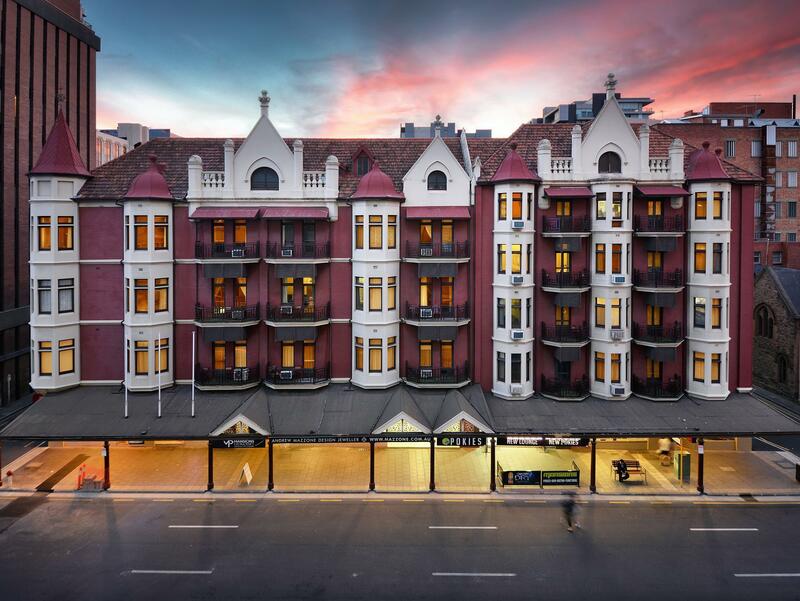 The hotel is a historical building in Adelaide. so imagine how old the hotel is. the room is so dark and dilapidated beyond imagination. every furniture and everything in the room look a hundred years old. the shower system is too old. hot water always runs out after 5 mins. you need to wait another 30 mins for boiling water. the staffs here are nice. but the place really needs renovation. Place isn't modern nor new but definitely cozy. All basic amenities and facilities were available for a serviced apartment. Enough for us to cook our own meal when we were there. We definitely enjoyed our stay. !0 out of 10, Its not a new place but every thing u need is there, The people we dealt with were beautiful, From reception to the cleaning staff every one was fantastic. We would recommend the Mansions to every one. To the receptionist that booked us in we thank you for all your help. the movie Fury we think u will like it. Sorry we didn't dine here so we were unable to rate it. Amazing, the customer service was excellent from the moment I arrived. I was able to drop off my luggage at 9:0am on check in day and leave it there until 5pm on checkout day letting me make the best use of my time in Adelaide. The room was great, nice and modern, very clean and serviced daily. 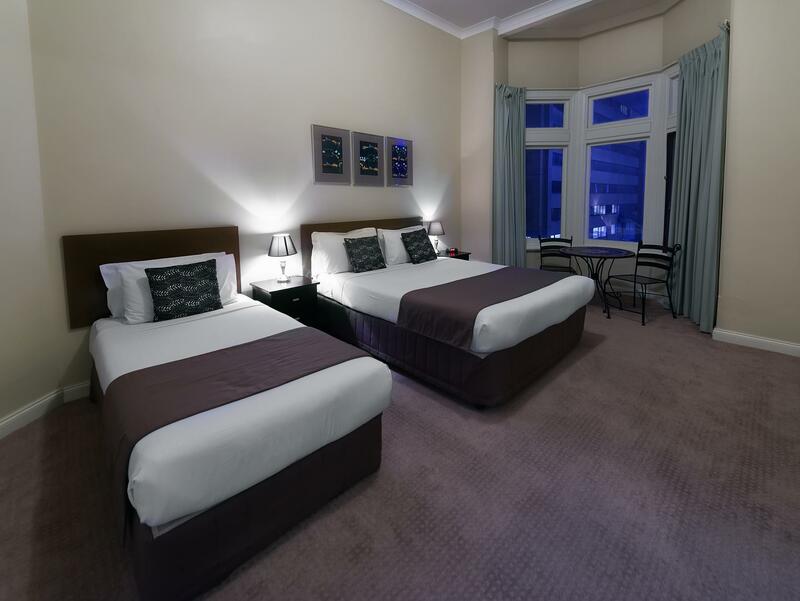 The location was great right in the middle of the city and half a block from Rundle mall and North Terrace. Pleasantly surprised. Yes, the building and rooms are old, but some would call it "shabby chic". I really liked the style of the place. Big rooms with high ceilings, very spacious. One of the best locations in Adelaide and great value for money. rundle street mall next door and rundle street full of restaraunts, hotels and clubs. very handy position with short walk to adelaide oval. bus stop accross the road. i wanted to stay there again and was booked out, i can see why.